Another reason e-mail is superior to snail mail. 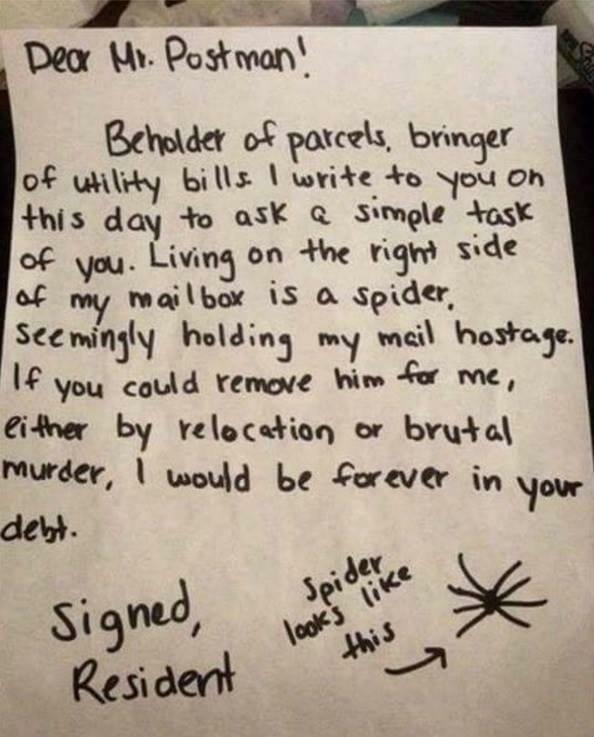 This funny note was left for a mailman, asking him to deal with a spider that was preventing someone from getting their mail. Usually postmen have to deal with dogs, so this was probably a welcome change.